Art book [ ärt \ ˈbu̇k] noun. 1. An artistic journey through printed pages. 2. A work of art encapsulating experiments in typography and stationery. 3. An object – for some almost a simulacrum – which may cause side effects. See: collectibles, bookshelves always overflowing. Books that recount works of art, books that become works of art in their own right, experiments with typography and paper. A huge shared narrative revolving around books, and in particular the moment in which they meet artistic research. The publishers taking part in the event have been selected both from Italy and abroad. What sets them apart is the quality and originality of the products they create, both in terms of content and on a graphic and aesthetic level. At BASE from 16 to 18 November, the second annual #TheArtChapter, the fair dedicated to experimentation and editorial research in the area of modern art, taking place during BookCity Milano and Photo Vogue Festival a Milano. 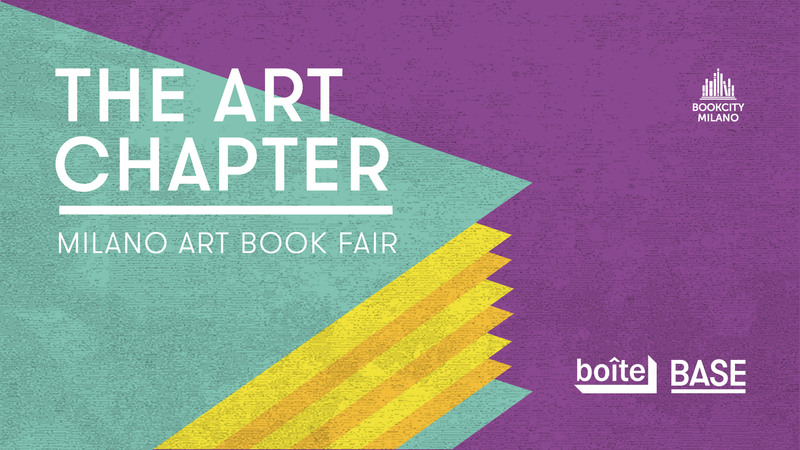 African Art Book Fair – AFRIKADAA (FR), Archipelago (UK), ArtBag Mag (IT), Artphilein Editions (CH), Avarie (FR), Bienvenue Studios (CH), blisterZine (IT), Boîte Editions (IT), Bolo Paper (IT), Butes (IT), Butik Collective (IT), Cesura Publish (IT), Chippendale Studio (IT), Crowdbooks (IT), Damocle Edizioni (IT), Depart pour l’image (IT/FR), Editrice Quinlan (IT), Enrico Floriddia (FR), Fernanda Fedi (IT), Francesca Chiacchio (BG), Henry Beyle (IT), Homie House Press (IT/US), Isti Mirant Stella (FR), les cerises (FR), Libri Finti Clandestini (IT), Mousse Publishing (IT), Officina Typo (IT), Origini edizioni (IT), PICA disegni al cianotipo (IT), Spazienne (IT), Zoopark Publishing (CZ), 5x letterpress (IT). The Art Chapter – milano art book fair, is the result of the synergy between BASE and Boîte, to whom the artistic curation of the event has been entrusted once again.